What is a Paid-Up Addition Life Insurance inside Whole Life? PUA stands for Paid-Up Addition which by definition is a mini Whole Life insurance policy that is completely paid-up with one single premium payment and added onto a traditional Whole Life policy. The Paid-Up Addition (PUA) portion a Whole Life insurance policy is contractually paid up with one single payment and there are no ongoing mortality charges dragging on a PUA’s growth. This is the power of Paid-Up Additions. 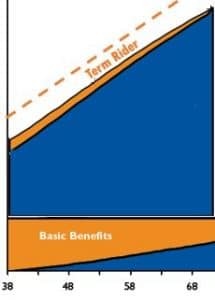 Adding a flexible Paid-Up Additions rider onto an ordinary Whole Life policy can transform it into a good investment vehicle. Keep in mind that a Paid-Up Addition cannot be a stand-alone policy. It must be added to an existing Whole Life policy, hence the word “addition” and “PUA rider”. 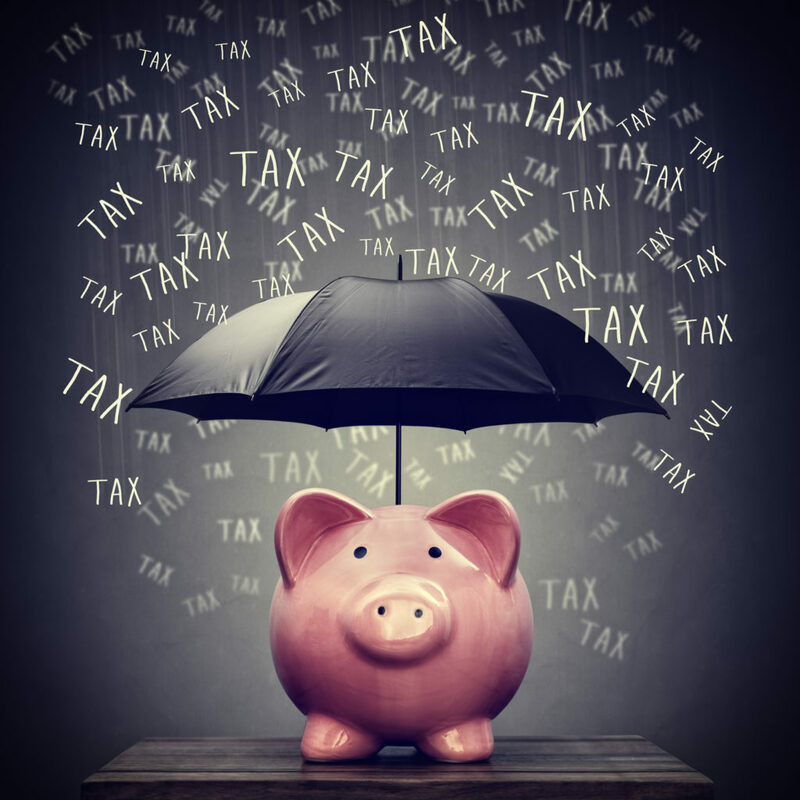 You may probably already be aware that if you try and pay up a stand-alone Whole Life policy with one large single premium, you will violate IRS premium thresholds and your paid-up life insurance policy will become classified as a Modified Endowment Contract (MEC) and lose some of the key tax benefits. In a MEC the underlying paid-up whole life insurance policy would still function the exact same way as a paid-up additional life insurance, except that some of the key Roth-like tax advantages afforded to permanent life insurance would be revoked by IRS. For instance, with a paid-up MEC you would be taxed on all your growth as soon as you were to take a withdrawal or loan. Conversely, with paid-up additions added onto a non-MEC Whole Life insurance policy, your withdrawals up to basis and any policy loans remain tax-exempt so long as some amount of your whole life policy stays in force until the insured passes away. Because a Paid-Up Addition is attached to a larger policy, you can in most cases purchase a PUA with one single premium and stay within the IRS thresholds. People often ask exactly what these premium limitations are to stay under the MEC limits, but unfortunately, there is no clear linear answer like there is with a 401(k) or IRA. The MEC limits depend on the age, gender, and health rating of the insured. Since a PUA is just like a miniature Whole Life policy, only with no further premiums due, let’s take a step back and look at how Whole Life itself works. This excerpt below from our article “Whole Life’s Guaranteed Growth and 4 Ways to Accelerate It” will help you understand the power of a Paid-Up Addition. See how the guaranteed cash value growth steadily converges on the $1,000,000 death benefit even though this particular policy is Whole Life paid-up at age 65. The CV=DB at age 120 (or sooner if he dies prior). The graphic above (also from the “Guaranteed Growth” article) depicts a $1,000,000 Whole Life insurance policy written on a 38-year-old with a guaranteed level $13,840 annual premium set to be paid for 28 years so that the policy becomes contractually paid-up insurance at age 65. Keep in mind though that rather than paying premiums periodically over 28 years like the image above, Paid-Up Additional life insurance is completely paid up with one single premium payment. The single premium of a PUA is essentially the present value of a lifetime’s worth of smaller payments spread over the life of the policy. This accelerated premium payment of a Paid-Up addition means you will have more money working for you earning Whole Life’s guaranteed interest crediting. Because of this, a PUA’s guaranteed growth curve is even more efficient than what is depicted in the graphic. You get the basic idea though. Part of what makes Whole Life a favorable investment is that it’s the type of insurance policy that pays dividends to policyowners. This is because a mutual insurance company is owned by its policyholders. Exactly how dividends are credited to a policy will vary between different life insurance companies. Regardless, your cut of a mutual insurance company’s dividend pool often depends on both the amount of your cash value you have inside the policy as well as the amount of your permanent death benefit your Whole Life policy supports (including Paid-Up Additional life insurance). You can purchase a PUA by having a flexible Paid-Up Additions rider and making additional premium payments or by electing your Whole Life dividend option to purchase PUA’s. Either way, Paid-Up Additional life insurance increases both your policy’s cash value and the permanent death benefit. Therefore, these PUAs will increase your share of any future dividend pools declared by your mutual insurance company. 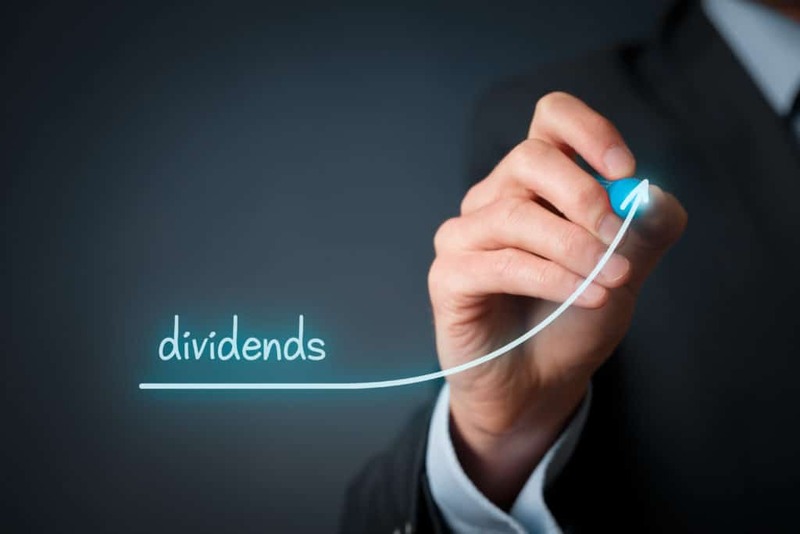 If you use those additional dividends to purchase even more PUAs, you obviously continue to increase your policy’s cash value and paid-up life insurance, which increases your share of the next declared dividend pool, and so on. You can imagine how this cycle can create an exponential compounding effect, especially when you maximize your PUA payments. Remember how the cash value of a paid-up policy must equal its death benefit by age 120, and how this contractual constant sets the trajectory of your guaranteed cash value growth? Since each PUA purchases paid-up additional life insurance, these little paid-up policies keep stacking upon each other, which essentially raises the death benefit target that your guaranteed cash value must reach. You are layering a foundation with these extra PUA premium payments (as well as dividends elected to purchase paid-up additions) that MUST crawl toward a higher and higher bar set by this paid-up additional life insurance that continually gets added to the policy. This effect is exactly why paid-up additions vs. accumulated dividends is a better dividend option for a Whole Life insurance policy. When you choose to have dividends accumulate at interest, they do earn some declared annual interest rate, which is taxable, vs. adding paid-up addition premium payments to the guaranteed cash value growth, which remains tax sheltered. Also, accumulation at interest also does nothing to increase your death benefit like paid-up additional life insurance does. A Paid-Up Additions rider allows you to pay additional premium to buy PUAs over and above the required premium of the base Whole Life policy. Since these extra premiums go to buy Paid-Up Additional life insurance, the insured must qualify medically and financially for these expected additions to your future paid-up policy. A flexible Paid-Up Additions rider allows you to be flexible with when and how much of these PUAs you want to buy in the future. You see, certain mutual insurance companies that offer Whole Life insurance with a Paid-Up Additions rider have a “use it or lose it” policy. If you neglect to pay a certain amount of additional premium in a certain year to fund your PUA rider, many carriers will revoke your right to purchase Paid-Up Additional life insurance in future years. Other life insurance companies require that you simply pay the maximum allowable Paid-Up Additions rider premium once every 3 or 5 years to maintain your ability to the maximum amount of PUAs in the future. As you get older, you are automatically approved to buy paid-up additional life insurance. However, the same PUA premium buys you less Paid-Up Additional death benefit. Basically, as you get older your paid-up life insurance quotes get higher and higher. To buy the same amount of Paid-Up Additional life insurance as the year before, you must pay a slightly higher single premium each year you get older. Looking at the paid-up value formula another way, since that single premium has less time to reach its eventual death benefit destination by age 120, you must essentially front-load it with more premium dollars from the jump. This is also why most people elect to purchase Paid-Up Additional insurance with their dividends as long as they possibly can. Eventually, as you get towards retirement age, it may make sense to have your dividends paid out to you in cash. 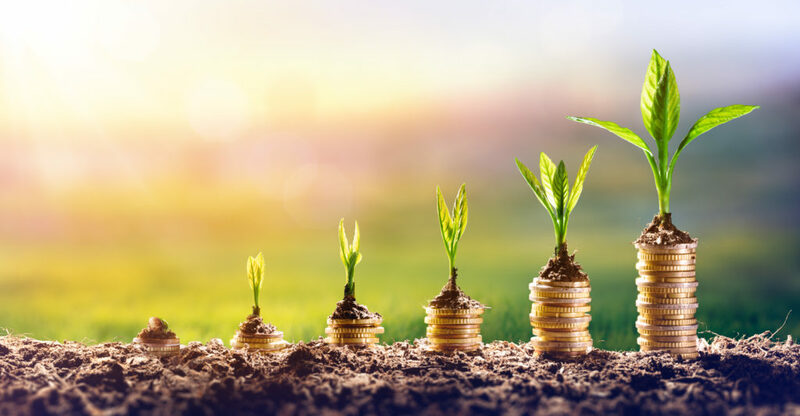 In order to create plump dividends to spend in retirement, you will want to have the early dividends that you are entitled to throughout your accumulating years roll back into your policy to purchase Paid-Up Additions. Remember how the IRS limits the amount of premium per the amount of total death benefit you have? Remember that if you don’t have enough total death benefit the IRS can revoke certain key tax benefits? Remember that ideally you want to minimize ongoing mortality charges and maximize Paid-Up Additions? 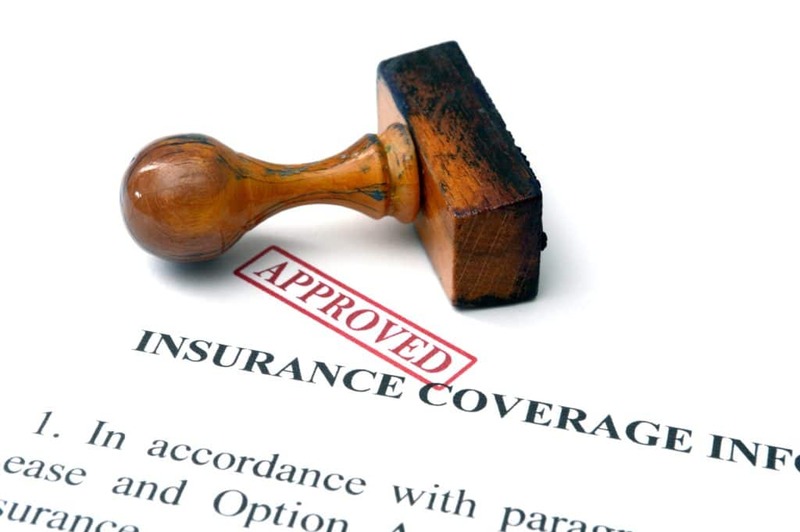 Blending a Term Insurance Rider onto your base Whole Life policy is a way to maintain all the proper ratios while allowing you to stuff a disproportionate amount of PUA premium into your policy earlier than you would normally be allowed to. 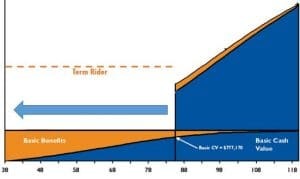 With a Term rider you’re essentially creating a cavity so you can increase the amount Paid-Up Additions that you can stuff into a Whole Life policy. Accelerating this early growth by maximizing the amount of Paid-Up Additional life insurance that will continue compounding into the future. Just to be clear, this term insurance rider on its own does nothing to enhance wealth building inside a Whole Life policy. In fact, it will even add some additional mortality charges. However, these charges are often a very nominal amount considering the amount of temporary death benefit it props up, which gives you loads of PUA capacity that you otherwise wouldn’t have with just a PUA rider added to an ordinary Whole Life insurance policy. Keep in mind that the image is not necessarily drawn to scale given your age and health rating, but you should definitely find out what a Whole Life insurance policy designed with maximum PUA capacity could look like for you. 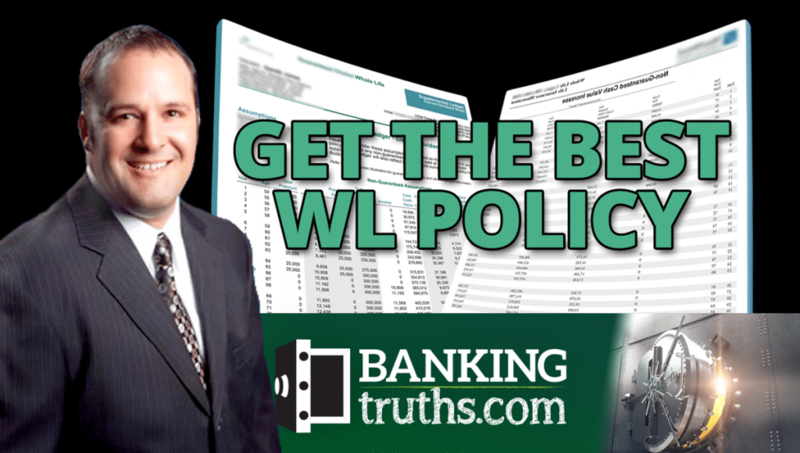 If you have not heard of this phenomenon of using Whole Life insurance to become your own banker you can check out our article 5 Steps to Be Your Bank with Whole Life Insurance. When it comes to using Whole Life to be your own bank, paid-up additions are definitely a good idea. The idea is to get as much accessible cash value working in the policy as quickly as possible. That way you have enough equity in the policy to borrow against it for outside investments or major expenditures, while still having your entire cash value growing for you while propping up paid-up insurance. I understand that double-dipping using Whole Life insurance to become your own banker may sound a little too good to be true. Because of this, we wrote an article spelling out The Top 4 Myths Behind Becoming Your Own Banker. Many agents are reluctant to illustrate Whole Life insurance with a term insurance rider in conjunction with a flexible paid-up additions rider because doing so drastically reduces commissions. The Banking Truths Team has no qualms whatsoever about offering this type of policy since we make it up in volume. Our independent agents are adept at designing policies from the top mutual companies in this fashion. Remember that each company will have certain nuances to their Paid-Up value formula, their dividends, and their flexible PUA rider. You can have us get started designing a custom policy designed to hold maximum PUAs for you. Simply input your age, estimated health rating, as well as the time you want to connect with us via a screen-sharing call to have us run some different PUA calculators and explore some optimal insurance companies and policy designs for you.